A good book should be shared! That copy of “Pat the Bunny” doesn’t interest your son now that he’s thirteen years old, the book of jokes for business people have all been told, and that who-done-it that was so gripping to read out on your porch this summer is just collecting dust now. Why not join the growing movement (temporarily, at least) to simplify living spaces by getting those books out of your house? our Library with much needed funds through the annual book sale and to help supply our residents with locations all year long where they may recycle books that have been read and are no longer wanted. Several years ago we made bright green collection bins with signs indicating that anyone could place books, tapes or videos in the bins for the Friends of the Library sale. The KVIS is honored to help the Library and community in this way - with your help we have been able to collect thousands of hard covers and paper backs to help support our Library. Thank you! To join the Friends of the Library, please complete the form found here: Friends of the Library membership form. Having bins to collect books is good but those bins often fill up quickly and must be emptied and the books taken to the Friends Book Sale storage. 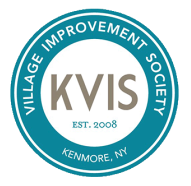 KVIS member Don Dean is the big hearted volunteer who does this sometimes strenuous job. Don has already made well over one hundred collections and does this single-handedly and with good cheer. A retired teacher, Don is a member of the KVIS Welcoming Committee.